Everyone with an “invisible illness” owes such a debt to Lisa Copen, founder of Invisible Illness Awareness Week. She has done so much to provide support to people with “invisible illnesses” like Rheumatoid disease. I don’t know if she coined that term, but she certainly popularized it. 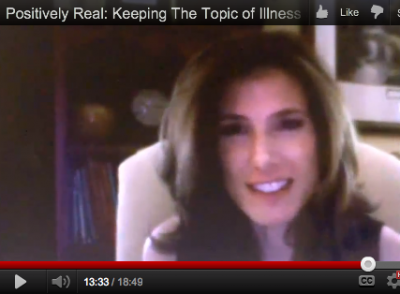 This video was part of Lisa’s 2012 Invisible Illness Awareness Seminar Week an online virtual conference that you can still attend! 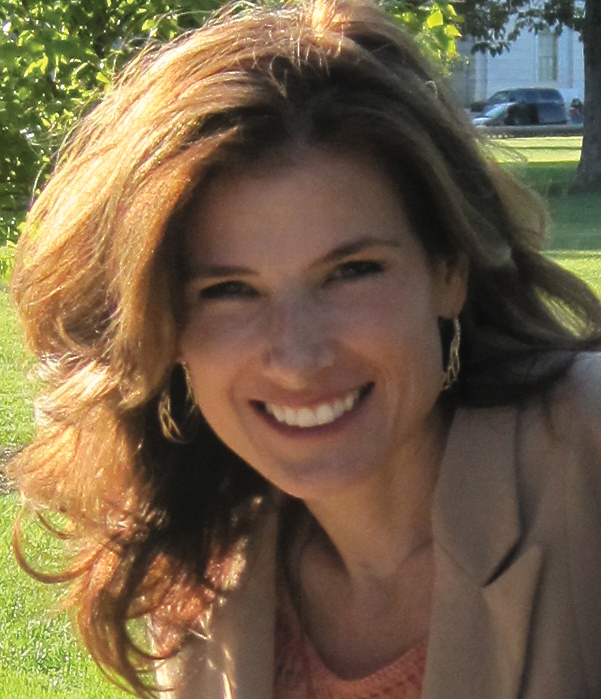 I know you’ll enjoy hearing a veteran warrior like Lisa interview me on topics critical to fighting a disease and keeping it from defining you. Note: If you squint a little, maybe you won’t notice how much I’m squinting in the beginning of the video! It actually turned out great considering it’s a remote interview using Skype. We discussed ways to balance facing the reality of the disease and staying positive. The value of a safe place to share the daily struggles. Why the media sugarcoats Rheumatoid disease. And why telling true stories about our battles with Rheumatoid disease, surgeries, or treatments IS positive! Lisa: “How can patients deal with the invalidating… magazine articles that merely say things like ‘This disease can cause fatigue,’ when you’re sitting there with 700 symptoms”? How do we stay positive with a chronic disease with daily realities of the illness? 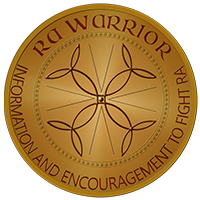 Lisa: How do we keep from getting stuck or being negative with serious painful illness like RA? 1) Warrior newsletter just went out. Click here to get yours. Be sure to click on the email confirmation. 2) Win a Pentax camera or an iTunes gift card with RPF’s awareness contest! Win a Pentax Camera! 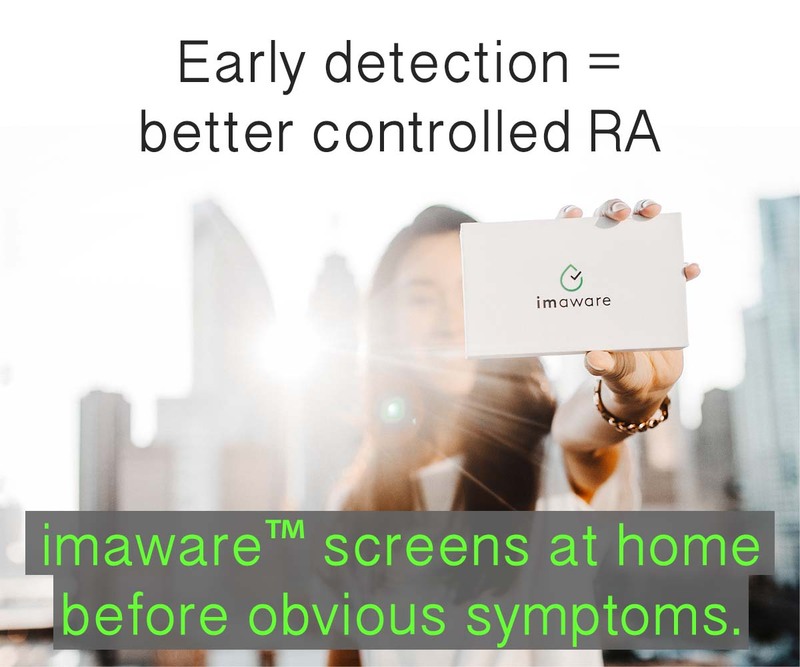 While You Spread RA / RD Awareness! Awesome!!! Kelly, you are so good at explaining what I am feeling. I agree with Judi, I so wish the whole world could hear this and have a better understanding of RA and what we deal with. Thanks so much for putting this video together! I am new to the diagnosis within the last year and a half. I forwarded a link to my family members and some friends. Sometimes I think it’s easier to hear a third party. this seems to help clarify and make the point to newcomers to the disease. I definitely got much sicker when I was Bullied out of my 15yr. position at a physicians office. I was one who almost never called in sick(no matter how sick I was with ALL my autoimmune disorders)to having to turn in FMLA paperwork, thinking that would secure my position. At this time she said,”you cost us money”. I only took one day off a week to rest and have more tests done. In between tests I was FIRED… both tests uncovered two more health challenges that are BOTH precancerous in my esophagus. I have since learned a lot about “bullying” and “mobbing”. The practice administrator planed to turn my co-workers against me. She did this(one of the many things she did) by giving them some of the moneys I had earned by a previous 15yr. policy. She told them, not me, so needless to say when I found out I was rather up set and said something, to then, be screamed and yelled at. She had told me one day I looked nice, these were VERY comfortable clothes so I though I would get more. I had them hemmed and also had to get new flats because I could no longer wear my heels. Then she comes up to me and says” your not keeping up with the competition,you need to step it up”. Pointing at my attire… it would have been nice to hear,something like, sorry you can’t wear your heels anymore,that you so dearly love ! She did things like this numerous times and for many more unjust reasons ! I’m sure there are many other people on here who have also been treated in a similar fashion,to all of a sudden, find themselves …Terminated on trumped up charges as an excuse to get rid of chronically ill employees !?! BTW..I’m much better off not working for/with these unscrupulous people and am employed (VERY) part time with very kind caring people ! Thank you for this wonderful site. I really needed the lowdown on meth(wink wink)since I just started taking it. I do not have RA but DO have lupus, sjogren ‘s, raynauds, fibro and neuropathy. So I deal with similar circumstances. Excellent info and inspiration here. I’ve been fighting the good fight with my challenges for 30 years and I’m still alive and kicking:)!